To build your websites magnificently, switch your websites to CMS hosting. Make the right choice and trash your website related headaches by choosing CMS plans to manage your websites with ease. CMS is nothing but a software; once you install it, you can access it and make any sort of modification to your website at any point of time. Get limitless design features, extra tools, and add-ons, and countless templates are available and fully customizable. CMS is fast, easy and flexible so you can easily administrate your websites with a click and avail the unlimited number of pages. Take this opportunity for the best low prices and exclusive plans from Server Basket today! CMS reseller hosting has several advantages such as you get to invest less, i.e., your cost of expenditure will be minimal and generate more income with zero maintenance. Our reseller hosting plans are surely the attractive offers for the customers to get convinced by any time. We ensure or provide dynamic CMS reseller hosting plans making your websites access simple, fast and flexible. Fully managed CMS hosting is available with exceptional speed and superior performance for the best price compared to any other in the current market scenarios. This is indeed a great business opportunity provided by Server Basket to run your websites on CMS. We have multiple CMS platforms, choose the best plans according to the website needs. Totally risk-free as we promise on for several dynamic features assurance. Run your CMS website under optimized servers; we host CMS hosting on optimized servers enhancing and ensuring your website performance any day under any kind of situations. Blazing fast, optimized servers are here at Server Basket by providing satisfactory faster page loading time, and leading-edge hard drive technology. Switch your CMS hosting if your website is being hosted on other hosting servers; we also allow free CMS site transfer. Make the best use of this offer, and have a beautiful website with no complications. Many platforms are supported by our hosting services. Multiple CMS platforms are available such as Joomla, Drupal, Typo3, WordPress, e107, etc. We will make sure that the CMS of your picked choice runs smoothly on our servers and ensuring that your website is faster, simpler, safer and better supported than anywhere else. 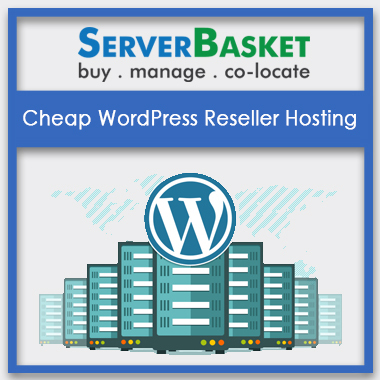 Tune into Server Basket hosting plans for the best deals and offers any day! Many CMS platforms are designed to meet all the security solutions, which are set by the Open Web Application Security Project (OWASP). CMS is earnestly evaluated to prevent future liabilities of security attacks. Our CMS managed servers offer great services designed to cut down your obligations to maintain your servers, and let you focus on your business. 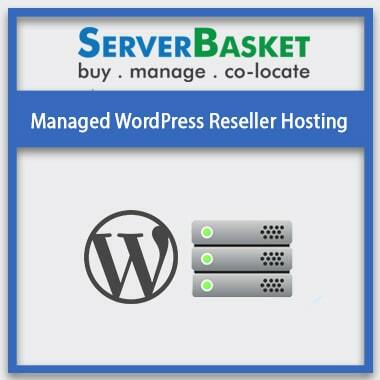 Server Basket is best known for its lowest price plans compared to any other online stores. At Server Basket avail risk-free reseller plans by engulfing all the future benefits or advantages of reseller hosting plans. Take home the best offers for your websites any day and enjoy the best features designing and maintaining your website. Stay connected to our technical support any time round the clock to resolve your issues or queries regarding the website hosting. Our support team has excelled in the web hosting services, can instantly respond to your problems all day long. Avail the 24/7 support from Server Basket for free, till the term time you are associated with us!